Cookie Permission: Should You Test That? Home Ecommerce Platform Cookie Permission: Should You Test That? Last post we looked at the European Union’s Privacy and Electronic Communications Directive and what that means for businesses in the EU, and the UK in particular in light of new regulations surrounding disclosure of the use of tracking cookies, and gaining permission from site visitors. To recap, to comply with new and impending regulations, websites must gain explicit consent to set most cookies (especially those deemed non-essential and potentially invasive, like web analytics, personalization and third party advertising cookies), or face possible consequences. Asking for permission is most likely done through pop-up / lightbox windows or accordion strips at the top or bottom of web pages. This not only adds an extra layer of friction to the user experience (user must make a decision when faced with the prompt), it also creates anxiety (what are cookies, and why is this a privacy risk) and confusion (what happens if I accept or don’t accept cookies). 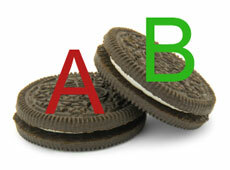 Testing tools depend on cookies to serve the right content to the right bucket of test visitors. Once new laws are enforceable in your jurisdiction, you cannot test without being de facto non-compliant by setting analytics cookies without explicit consent. You may workaround this problem by setting analytics/testing cookies initially upon site arrival, disclosing in the prompt and linking to information how to opt out of tracking. (The ICO itself sets an essential cookie at the beginning with the option to delete all cookies). Technically, since an analytics cookie is not essential to the functioning of the website, you may be walking the fine line of non-compliance. That means to be above board, testing must occur while there is still grace time. Secondly, testing now allows you to measure the impact on performance metrics with and without asking for permission. Once the grace period is over, you can no longer use a control group that does not see your popup/accordion prompt to accept cookies without being non-compliant, and you’ll never be able to quantify the negative impact on your business. You will know what to expect when it’s rolled out fully to your site. More importantly, consider testing variables such as the clarity and persuasion of your request’s copy. Learning what converts best now means you will be able to reduce your risk long-term. Again, you will not be able to properly split test without cookies being set upon visitor arrival in one year’s time. But testing your opt-in requests today also has many caveats. If running a cookie permission test concurrently with other tests, it’s not guaranteed the tests will play nicely together. This type of test may have a short half-life, meaning that consumer behavior is expected to change over time. As people get used to encountering permission requests, they are likely to become more tolerant, and respond to prompts differently than today. Like all quantitative analytics, AB tests can only tell you the what, not the why. When you optimize your permission process, it’s important to identify why users abandon a site. What anxieties do they have? What are their attitudes toward cookies? Do they even understand what the prompt is asking? Would they abandon a site to look for alternatives? These are questions traditional user testing can answer. However, user testing as we know it is also an imperfect solution. Recruiting users, bringing them in for a test and crunching the data takes time and money. If you want to test the clarity and persuasiveness of your permission request across a number of alternative versions, you will need to perform several rounds of user testing. Likely not worth the effort. The lightbox example is courtesy of David Naylor. Check out the rest of his satirical permission requests for a good laugh.